To dress up or not to dress up, that was the question. Or the choice, rather, that was on my mind one morning. I perused the upcoming events of the day in my head. There were none really. My husband was out of town on a business trip and my main to dos for the day involved housework and being at home with the baby. I could just put on a pair of sweatpants and call it a day… but I did have to go to the dry cleaner later. Hmmm. Then I guiltily thought about my chapter Look Presentable Always (chapter 8 in Lessons from Madame Chic) and did not want to be a hypocrite. Furthermore, I thought of my favorite films from the 1940s. Did Ginger Rogers hang around the house in sweatpants when she was pining after Fred Astaire? Or what about Hercule Poirot, my favorite detective? He dressed to the nines for no one other than himself and did it every day (and night). And then I thought of Madame Chic, who dressed well every day and when met with doing some housework, simply donned an apron over her day clothes. I took a look at my capsule wardrobe and pulled a rather nice outfit out- my sea green linen skirt and navy stripe sailor top. I thought I would conduct an experiment and wear what I would consider a ‘nice outfit’ just for myself around the house- no husband to see me, no plans to see friends later- just for myself to look good. After I put on my skirt and top I realized that I had to also put on makeup and do my hair otherwise the look did not feel complete. So I did a quick le no makeup look and donned my hair in a high bun (very fashionable right now and great for when you are not having a good hair day!) So there I was, all dressed up with no where to go. My baby girl looked at me and smiled- well at least someone was able to appreciate my effort. I started out as I usually do, walking the dog and feeding the baby. I went up to the office and paid bills and did some filing and administrative work. It was all going well. I actually felt rather sophisticated doing my daily tasks in such a nice outfit! Then I started doing housework. I had to empty the dishwasher and fill it up with the dirty dishes in the sink. I had second thoughts about what I was wearing. Should I change? I didn’t want to ruin my outfit… I’m not used to cleaning in anything other than old clothes that I don’t care about. But then I remembered that Madame Chic always cleaned her house in her best clothes- she just wore an apron over them. So, I decided to stick it out. The apron worked out great and there was no dirt on my clothing. Then I tackled my hall closet. The big to-do for the day was to de-clutter it, which took about an hour. I did break a sweat but kept my apron on and in the end still looked quite nice. When it came time to leave the house, I simply left and baby and I went to the dry cleaner, the grocery store and the local bakery. Was it my imagination or were people being extra friendly with me? When I got home I got a call from a friend I hadn’t seen in ages- she was only a couple of minutes away from my home and wanted to see if I was around. She came over and it was lovely – we had a cup of tea and caught up and I didn’t have to apologize for my appearance! In short, making the decision to only use the best I have and wear a nice outfit vs. a frumpy, 'comfortable' outfit was a stellar choice. We never know what our days have in store for us and it is much more fun to go through them looking fabulous. If my friend came over and I was a frumpy mess I would not have been happy. But regardless of whether I saw my friend or my husband or anyone, for that matter, dressing nicely felt good for me- and in the end that’s all that matters. 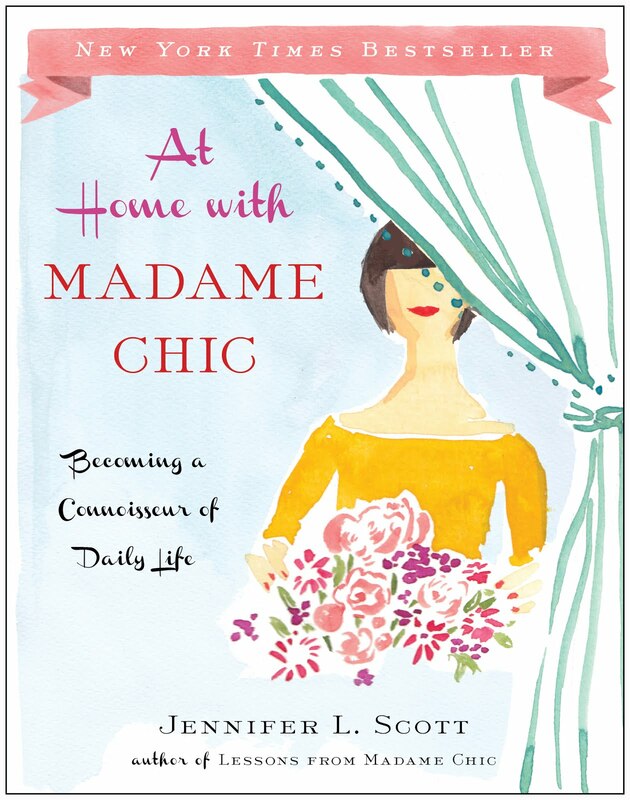 The Hostess of the Humble Bungalow is hosting a giveaway for a copy of Lessons from Madame Chic this week. Stop by the hostess' beautiful blog to enter! A daily connoisseur seeks the best in every category of life and yes, that includes deodorant! After using drug store deodorants for much of my teens and early twenties I always felt disappointed and unsatisfied. I never liked the chemical composition, the artificial fragrance and the white flaky mess that was usually left behind after an application. Also drug store deodorants don’t tend to react well to my body chemistry and I would end up emitting a strange, metallic scent when I wore them. Yet when I tried all natural deodorants from the natural grocery stores I never felt they were very efficient. For a few years I have used the Superbly Efficient Anti-Perspirant and Deodorant Cream from Kiehl’s. This is a really nice product that goes on like a cream to the underarm area. 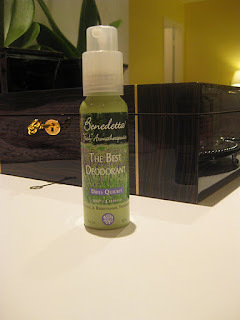 But I am happy to say that I’ve found a deodorant that I like even more: Benedetta The Best Deodorant. Yes, the name has a lot to live up to. After all if you claim to be the best then you better deliver! Benedetta is an all natural skincare line that takes a holistic approach to beauty- the ingredients in their products are all organic and biodynamic. I discovered them at their new boutique in the Santa Monica Place Market by my home (which, by the way, I love). So after spotting their star product, The Best Deodorant, I had to buy it and try it out. The deodorant goes on as a spray. You only need one or two sprays under each arm. The scent is lavender. The deodorant does not contain aluminum, propylene glycol or parabens so it keeps you odor free safely. I am completely hooked. I love it and wanted to share it with you. The only downside is it is a bit pricey. The large deodorant is $20 for 2.6 fluid ounces. But because it is a concentrated formula a little really does go a long way. I bought mine well over a month ago, have used it every day since, and still have a lot left. 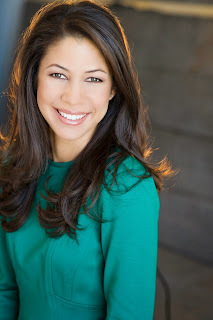 To learn more about Benedetta click here. To see their Best Deodorant click here. In other beauty news, I was reading Maria Menounos’ book The EveryGirl’s Guide to Life and was interested by her suggestions for face towels. A while back when I posted about my skincare routine I mentioned that I always use a separate face towel when drying off my face. I usually change this towel twice a week. But Menounos suggests that you change your face towel every time you wash your face! I suppose it makes sense (to keep bacteria at bay) and I have tried it out this week although now I have much more laundry and my skincare neurosis has been taken to the next level! Writer Cindy La Ferle writes about Lessons from Madame Chic in her article this week called Facebook Party Pooper. In the article she brings up some great points on privacy, social media and an air of mystery. To see the article click here or visit www.laferle.com. Thank you Cindy! So, this week I would love to know two things… what is your favorite deodorant? And what are your thoughts on face towels? The new year always brings about inspirational ideas about getting our lives together- clearing clutter, eating healthful foods and getting fit are possibly the three main resolutions come January 1st. I recently had a request from YouTube viewer Gracia89 asking about my health and fitness routine and thought that this new year was an apt time to address the subject. For those of you that have read my book, Lessons from Madame Chic, it probably will come as no surprise to you that fitness for me has nothing to do with weighing myself, counting calories or ‘feeling the burn’. I like to take a more holistic approach to fitness. For me, being physically fit means being of sound mind and body- being at peace, feeling healthy and most importantly not feeling stressed. That is why the exercises I choose to do tend to have a moving meditation feel to them. I like yoga, qi gong and tai chi. Those exercises can be practiced at a gym, a studio or at home with a dvd. Along with those structured classes I also incorporate exercise into every day of my life as a lifestyle choice. Doing so has kept me fit and healthy my entire life. Thank you to Gracia 89 for making this request. A really great in-depth article was written by Irvine Traveller in the Hub Pages about Lessons from Madame Chic this past weekend. I love to hear what different people get out of the book and which lessons resonate with them. To check out the article, click here. Also, Lessons from Madame Chic was mentioned on English blog, That's What Wendy Said. The book provided her with the inspiration to never leave her house looking like a 'shlub' (her words not mine!) :) To check out Wendy's blog, click here. I would love to know… what is your fitness routine? I hope you are all having a lovely weekend. This special Saturday post brings blog and book news as well as other great weekend reads. An author interview I did with the amazing artist Fifi Flowers on her blog Reading is Fashionable can be seen by clicking here. 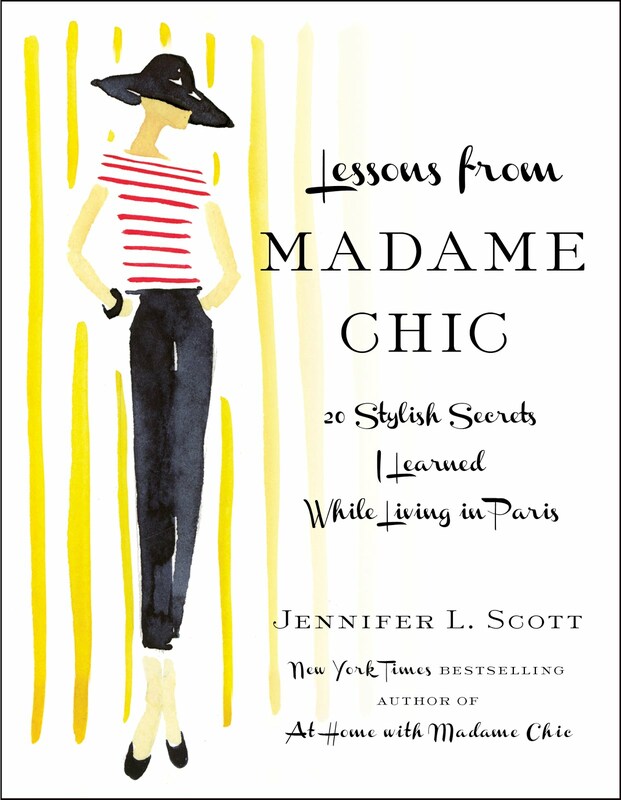 Fifi is also doing a giveaway for a signed copy of Lessons from Madame Chic so if you would like to win one, be sure to visit and leave a comment. And if you aren’t already acquainted with Fifi’s beautiful Parisian inspired artwork, checkout her artist blog here. In blog news, Melissa from Melissa's 100 has written about The Daily Connoisseur and shares her interview with me where I give advice on dealing with negativity. To see the article click here. And lastly, The Daily Connoisseur was featured on The Displaced Nation under their top ten expat and travel posts. To see that article click here. Thank you to all of these great publications for supporting The Daily Connoisseur! I am normally a purist when it comes to drinks. I’ve never been one to get a designer drink like an eggnog spiced latte. I normally just go for a good old fashioned coffee with cream (no sugar). As far as tea goes- much the same. I like green tea, straight up. And I thought I liked rooibos tea that way too until I went out for tea with my friend Amelia and she ordered a rooibos tea latte. I was instantly curious. 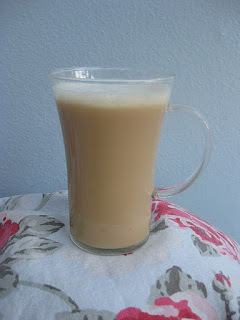 It sounds so pretty after all- a rooibos tea latte. Ordering it just sort of rolls off the tongue. But I was very suspicious of potentially adulterating one of my favorite drinks. After all Mma Ramotswe from Alexander McCall Smith’s No. 1 Ladies’ Detective Agency series drinks rooibos tea plain and silently scoffs when her assistant Mma Makutsi adds milk to it. But never being one to judge (too much anyway) I decided to try one for myself. A rooibos tea latte is made by steeping rooibos tea and then adding a touch of warm frothy milk (I make mine with soy milk but hemp or almond milk is good too). Thankfully I decided to be adventurous and experiment with my beloved drink because I find this new version to be delicious- it is particularly delightful at breakfast time with fresh fruit! I would love to know… what is your favorite morning beverage? Happy new year everyone! I hope you had a great holiday with your families. I had a refreshing week and a half off although I wouldn’t call it relaxing. I spent the majority of my time de-cluttering. Just like in spring when the spring cleaning bug hits, new year has always been a time where I’ve felt compelled to tackle the clutter hotspots that have formed in my home. 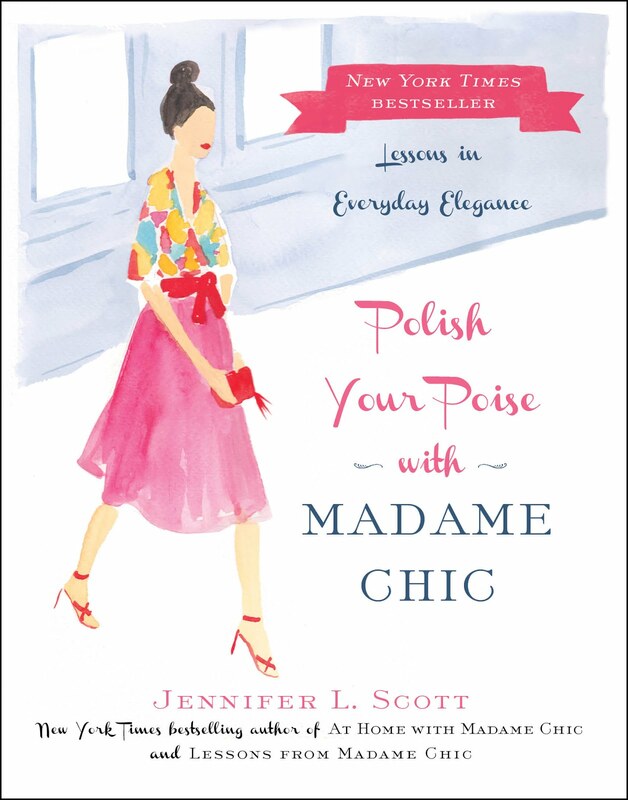 Over the holidays my book, Lessons from Madame Chic, was mentioned on four really great blogs. Rayna at Bright Copper Kettles, Joanne at Daily Joy, Michelle at Italiagal and Michal at A Renaissance Girl all have great things to say about Madame Chic! Check out their fabulous blogs to read their mentions and reviews. Also The Daily Connoisseur was honored with the Versatile Blogger award by food bloggers Sandra and Kathy at Sandra & Kathy's Corners. Thank you ladies! So until next time... I would love to know… what is the state of clutter in your home? Any hot spots?